An advent calendar is usually a poster with 24 small doors, one to be opened each day from December 1 until Christmas Eve. Each door conceals a picture. 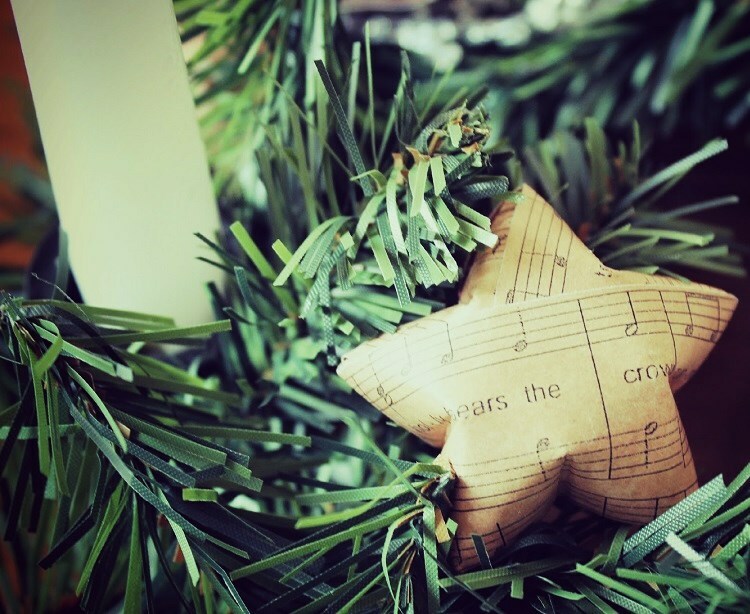 This popular tradition arose in Germany in the late 1800s & soon spread throughout Europe & North America. 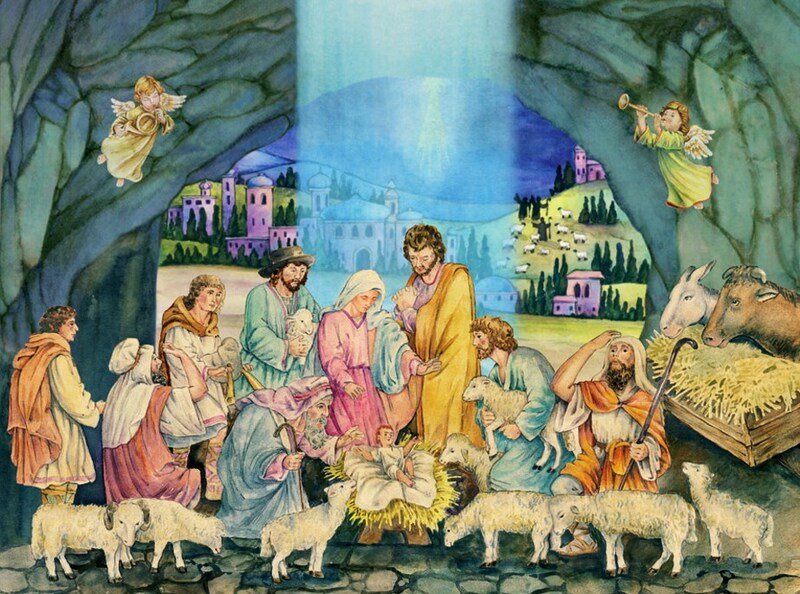 Originally, the images in Advent calendars were derived from the Hebrew Bible. The Advent calendar windows open to reveal an image, poem, a portion of a story (such as the story of the Nativity of Jesus) or a small gift, such as a toy or a chocolate item. Some calendars are strictly religious, whereas others are secular in content. During the 19C in Germany, the days preceding Christmas were marked off from December 1 with chalk on "believers" doors. 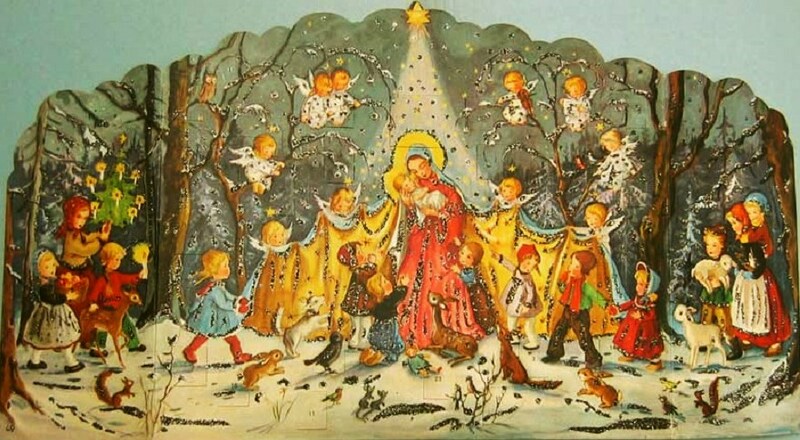 Then in the late 19C the German mother of a child named Gerhard Lang made her son an Advent Calendar comprised of 24 tiny sweets stuck onto cardboard. Lang never forgot the excitement he felt when he was given his Advent calendar at the beginning of each December, & how it reminded him every day that the greatest celebration of the whole year was approaching ever nearer. As an adult, Lang went into partnership with his friend Reichhold opening a printing office. In 1908, they produced what is thought to be the 1st printed Advent Calendar with a small colored picture for each day in Advent. Around the same time, a German newspaper included an Advent calendar insert as a gift to its readers. Lang’s calendar was inspired by one that his mother had made for him and featured 24 colored pictures that attached to a piece of cardboard. Lang modified his calendars to include the little doors that are a staple of most Advent. 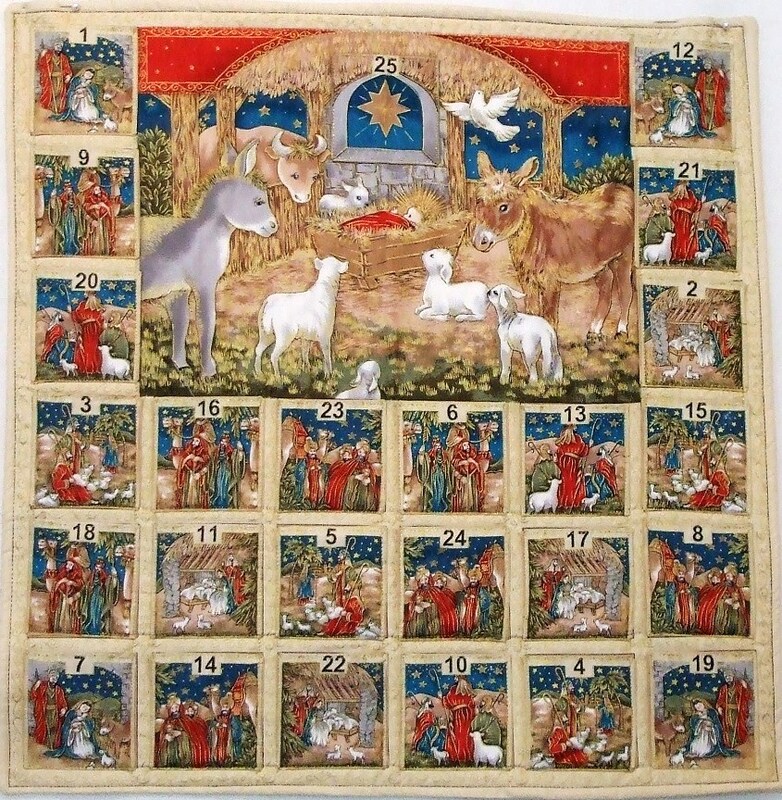 The idea of the Advent Calendar caught on with other printing firms as the demand swiftly increased, and many versions were produced, some of which would have printed on them Bible verses appropriate to the Advent period. By the time that the Advent Calendar had gained international popularity, the custom came to an end with the beginning of the WWI, when cardboard was strictly rationed to be used for purposes necessary to the war effort. However, in 1946, when rationing began to ease following the end of the WWII, a printer named Richard Sellmer once again introduced the colorful little Advent Calendar, and once again it was an immediate success. After the war, the production of calendars resumed in 1946, by Selmer. Selmer credits President Eisenhower with helping the tradition grow in the United States during his term of office. 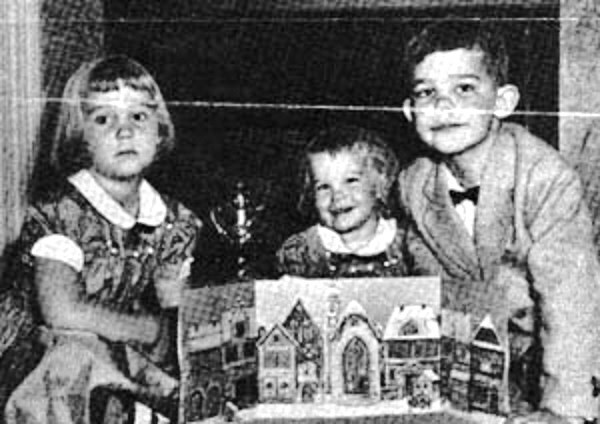 A newspaper article at the time showed the Eisenhower grandchildren with The Little Town Advent calendar. 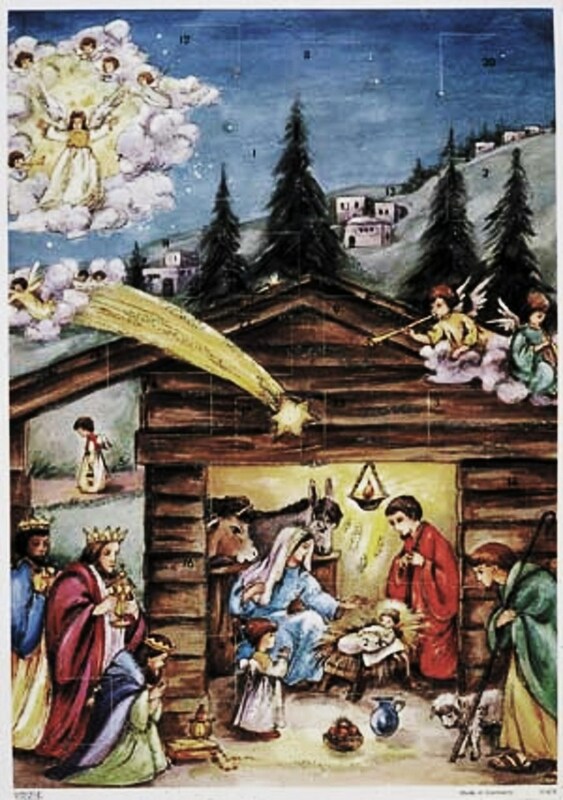 Some European countries such as Germany, where the 1st Advent poster originated, also use a wreath of fir with 24 bags or boxes hanging from it. In each box or bag there is a little present for each day.